A contractor working on a waterline hit a gas main literally a three minute walk from my front door. 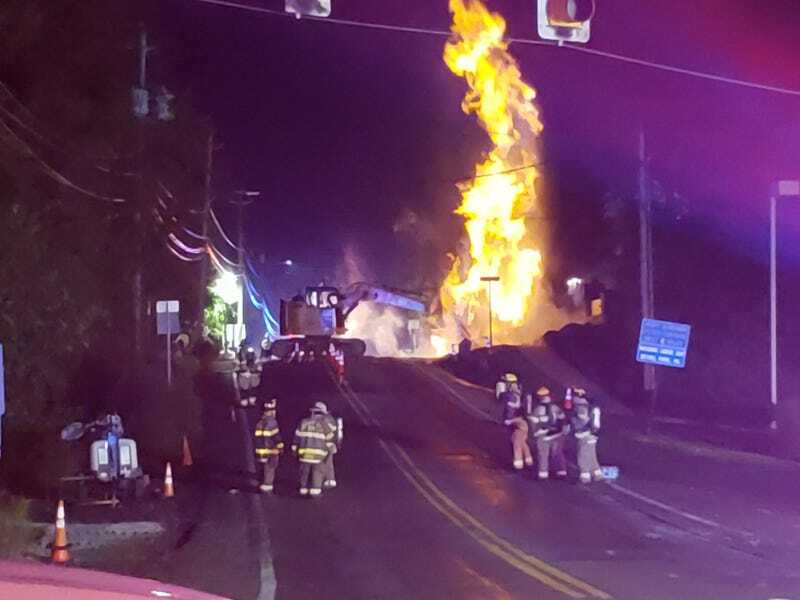 Last night around 2am a worker hit the line, rupturing the main and sending a fireball into the sky. One injured worker was taken to the hospital, though no one else was hurt. One family was ordered to evacuate, though they were allowed to return home after the gas main was shut down and the fire extinguished. Clifton from Route 88 to Airedale is still closed, and will be for some time. If the area looks familiar, that because the creek that cuts across 88/Library Road flooded in June this year, damaging the Trolley Stop Inn and closing the Port Authority’s LRT line until the second week of September.